Heart's coronary blood vessels, artwork. 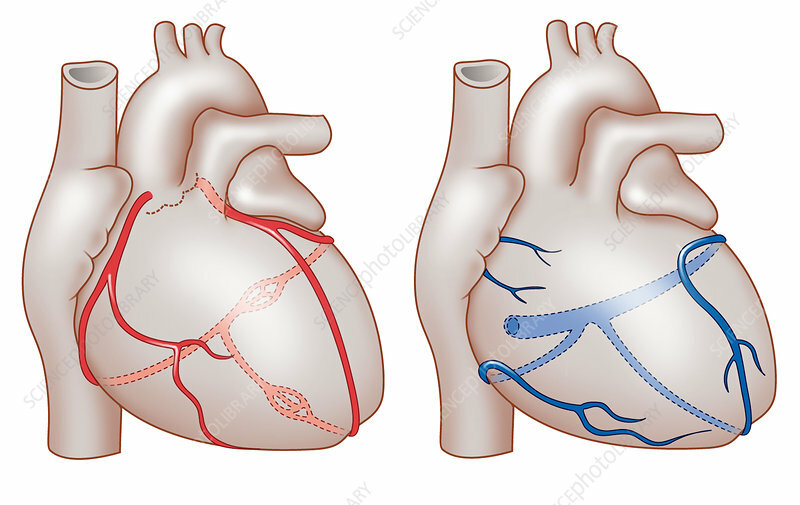 At left are the heart's coronary arteries (red) that supply the oxygenated blood that fuels the cardiac muscle and the heart's pumping action. At right are the coronary veins that drains deoxygenated blood away, towards the lungs where the waste carbon dioxide will be removed. Both views show the heart from the front, with the major blood vessels shown at left and top (vena cava, aorta, pulmonary artery and pulmonary vein).